Finding a decent set of headphones that actually stay in your ears and don’t cost a ton of money is way more difficult than it sounds. That’s why it’s a momentous occasion when headphones are discounted—and there’s a mega-sale going down today. Powerbeats3 by Dre wireless earphones are a whopping 50 percent off today on Amazon. That means these headphones, which normally go for $199.95, are currently $99.99! Damn. These headphones come with a bunch of great features, too. They have up to 12 hours of battery life, so you can use them for several trips to the gym without recharging. And even when you recharge, it’s pretty speedy: Powerbeats’ Fast Fuel lets you get an hour of use after just a five-minute charge. They also have secure-fit ear hooks to keep your earphones in your ears (what a concept! )—and four size options for ear tips in case that doesn’t do the trick. If you’ve ever had to deal with earbuds falling out, you know how crucial this feature is. Oh! And Powerbeats3 aren’t just for listening to music: You can also take calls and activate Siri with your earphones. 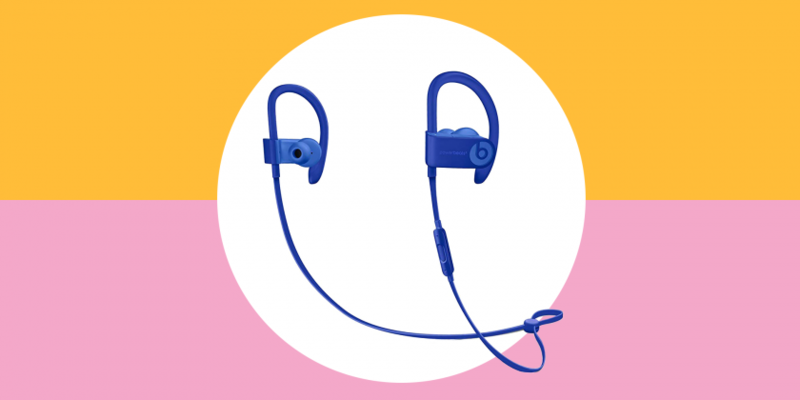 Given that you’re probably going to be using these while you work out, it’s definitely a perk that they’re sweat and water-resistant, too. The Powerbeats3 come in different colors—grey, blue, red, and green—and they’re all on sale today. If you’ve been in the market for a quality set of earphones, don’t wait.